The last few days I’ve been out and about – so much so that it has left me little time to write about these interesting events. So let me just leave you a little teaser for now until I get caught up! 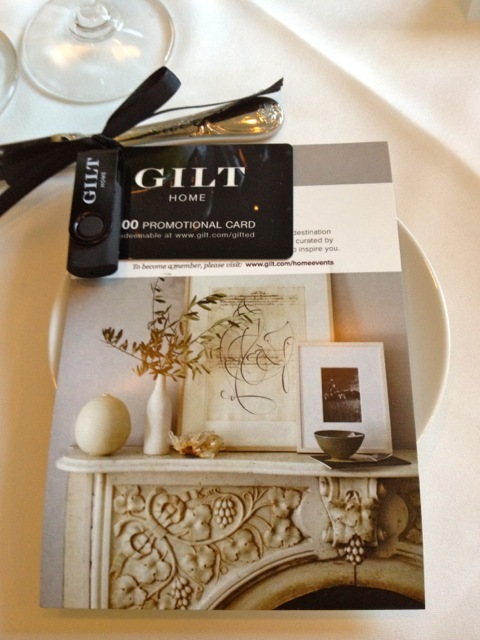 Have you seen the new Gilt Home site? Do stop by – it’s live. I’ll tell you more the terrific new relaunch and what you can expect to see soon! 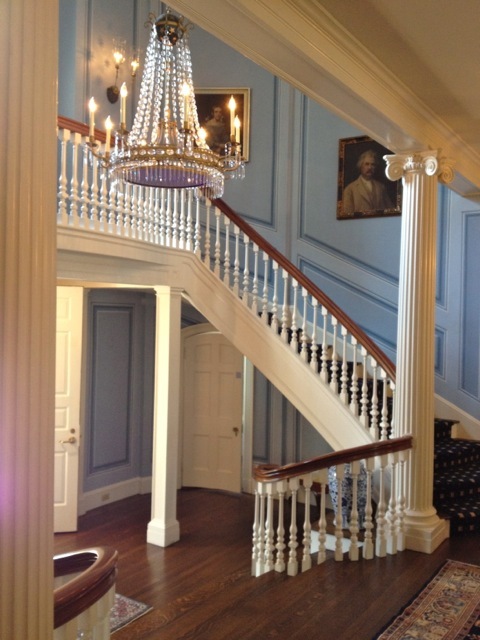 I was honored to be invited to see the spectacular refurbishing of the Governor’s Residence here in Connecticut. Dubbed The People’s Project, this beautiful renovationwas led by a special design team hand picked by Connecticut Cottages and Gardens, and completed through a partnership with the Governor’s Residence Conservancy, a private, non-profit corporation responsible for the preservation, restoration and renovation of the home. The upcoming November issue of the magazine is dedicated to the project and I will be writing about this meaningful example of creative collaboration soon as well. This entry posted in architecture, design, gifts, history, interior design. Entry Tags: Gilt Home, The Governor's Residence Conservancy, The People's Project Bookmark the permalink. I’m very excited about gilt and the restoration project is completely interesting. I can’t wait to read more and to know what components are historically accurate and which are the designer’s inspiration. A great teaser poist indeed!! Elle, we agree! Can’t wait to hear/see more about the Governor’s Residence renovation. The new Gilt looks amazing…ditto the Gov’s digs! I have resisted Gilt Home, having done much damage at OKL, but from the looks of it, I will have another source of guilty purchasing! Love Gilt’s site. I get their emails! Hav e anice day, q. Catch your breath….we’ll be here! Yes Gilt looks incredibly good!! Sounds like you are busy but all good things, look forward to hearing more about the Governor’s mansion!! What a beautiful little ‘teaser” photo that is! Oh, what a wonderful burden/blessing, too many interesting things going on/ not enough time to write about them, I know the feeling. Looking forward to more information when you have time. BTW, I love the photo of you in that gorgeous orange chair, I love the fabric on the backside. Is the orange fabric mohair? I would strike a pose as well, sitting in that fabulous perch! We got to see the Governor’s residence first hand and it is a beautiful home – the designers outdid themselves! Can’t wait to see the issue and what you post about! Your flowers were beautiful!! I loved the topiaries in the dining room! Looking forward to seeing it all through you! You lucky thing! I’m glad that you’ve been busy in a good way! I’m traveling and planning more travel so it should be fun! Thanks for giving us a peek at what you’ve been up to! The renovation project looks so interesting. What a great piece to get to write. Can’t wait to read it! Looking forward to hearing about all your exciting projects! Have a great weekend! 80 queries in 0.585 seconds.